Your commercial or public restroom requires a diverse range of washroom paper products to maintain functionality and ensure your customers and employees leave with a good impression of your business. Our Enviro-Master paper products program offers an affordable, easy way to save on restroom hygiene products, such as toilet paper, paper towels, attractive dispensers and other supplementary products. Read on to learn about our Paper Products program or call to speak with our team and schedule an inspection today (412) 462-5525. Restroom hygiene paper product inventory can be expensive, but we offers a simple and cost-effective way to save money on essential items, for example, paper towels and toilet paper and other supplementary bathroom items such as: hand sanitizer, soap dispensers and professional air fresheners supplied by Air- Scent International. Additionally we deliver, install and service our stylish, manual and touch-free dispensers, which cuts your initial cost, inventory and installation dramatically. Enrolling in our Paper Products Program insures that the busy business manager or owner, no matter what type of facility is in question, can focus his or her attention on bigger things than making sure the company facilities are well stocked with necessary hygiene products. One of our most popular products is the single-use paper towel, which far surpasses the efficiency of hand dryers. These appliances are known to cause the spread of water infused with germs throughout a restroom. Enviro-Master offers two options: center-pull or multi-fold towels for the chosen dispenser. Toilet tissue in jumbo rolls are extremely convenient and can be delivered anywhere without any effort on the part of the owner or manager of a commercial enterprise. Other available paper products include but are not limited to: high capacity Hardwood Roll Towels, C-Fold Towels and others. 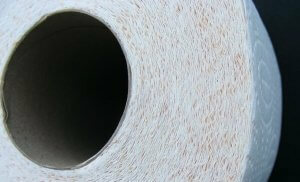 Whatever the commercial restroom need might be, Enviro-Master has the paper product solution. Another feature of the Enviro-Master Paper Products Plan is the provision of a wide variety of supplemental items at affordable prices. These include but are not limited to: hand-sanitizer; poly-scrub heavy duty hand cleaner; toilet seat covers; sanitary wax bags; toilet tissue dispensers; Tear-N-Dry towel dispensers; soap dispensers and environmental odor control and air freshening solutions. The company’s partnership with the master ambient air-care leaders at Air-Scent International represents a synthesis of skills, products, and experience that is unique to the modern marketplace. In continuous operation and family-owned since the 1940s, Air-Scent acquired Enviro-Master for Pittsburgh and its surrounding areas in 2014 as a means to complement both their pest control and air freshener businesses. President of the Pestco Professional Services, Arnold Zlotnik, brings a wealth of experience in both operating and expanding a multi-generational, highly successful business. Enviro-Master is one aspect of a three-pronged initiative that includes pest control and pest management strategies provided by Pestco Professional Services, washroom hygiene and environmental odor and air-freshening solutions supplied by Air-Scent. Together, they fall under a blanket of services all bundled into one cost- effective package. This wide range of services is the most affordable and efficient of its kind. The modern world is in a constant state of flux and the dynamic and fickle needs and desires of the consumer are always at the forefront of considerations for the survival of any business. Air-Scent is heads above others of its ilk, both in the areas of seamless customer service and research and development, which keeps them on top of innovative and cutting edge technologies. The expanded use of scent in more and more industrial applications, including aromatherapy, cements the continued demand for Air-Scent’s superior ambient air-care products. The conventional bathroom is certain to evolve as it has in the past, each change initiating a new and improved user-friendly experience. Future bathrooms may entail water conservation features barely imagined today, such as fingertip access to a preferred shower temperature or pre-set water deliveries at the sink. Whatever the changes, Enviro-Master will be there to accommodate and complement them. Submit a written inquiry, or call our team today at (412) 462-5525, and ask about our Paper Products Program.